Dineke recently passed her DCP (Director Certification Program) after a lot of setbacks and hard work. This life time member of Sweet Adelines International is a proud member of the Music Staff and brings her excellent ear and musical training to us. She has recently been ratified as choreographer. 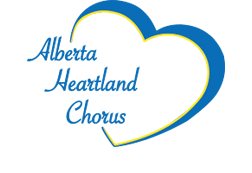 Thank you Dineke, for your dedication and commitment to Sweet Adelines and Alberta Heartland.